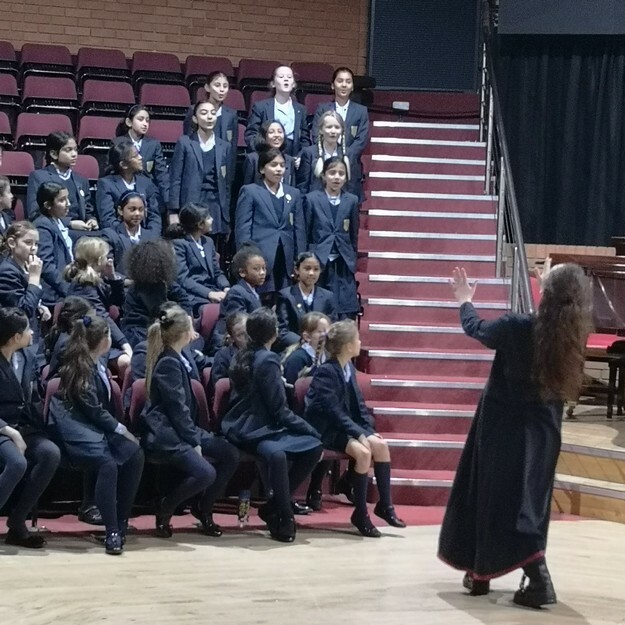 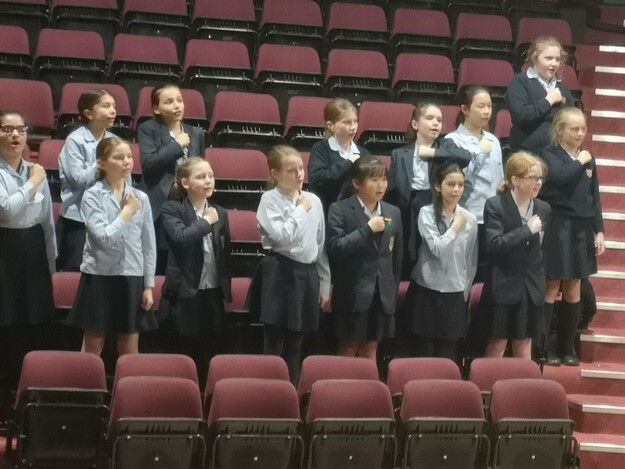 Following on from a week of all things Tudor with the Juniors’ trips to Ordsall Hall and the Tudor-themed Parents’ Assembly, this Wednesday our girls were treated to a visit from the Young Shakespeare Company. 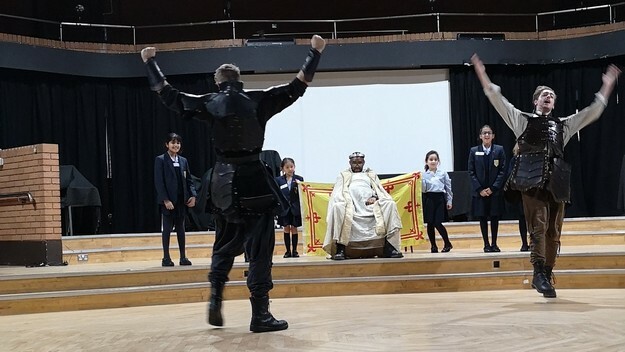 A troupe of five young actors put on two spectacular performances of Shakespeare’s Macbeth, rejigging the well-known tragedy into a version that was much more accessible for our girls. 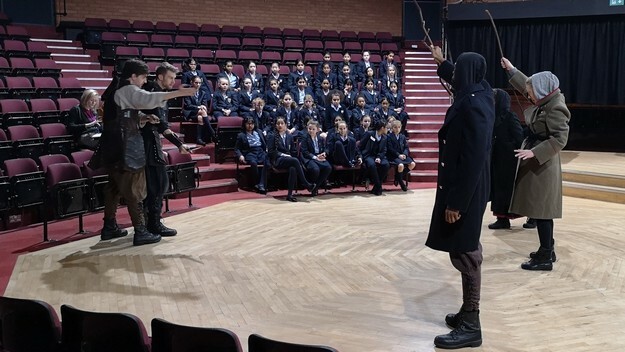 The performances featured a mixture of the original Shakespearean language of Macbeth, along with scenes that were broken down using modern day language, and even points in the middle of scenes where time would freeze, and the narrator would take the time to discuss the events occurring with the girls. 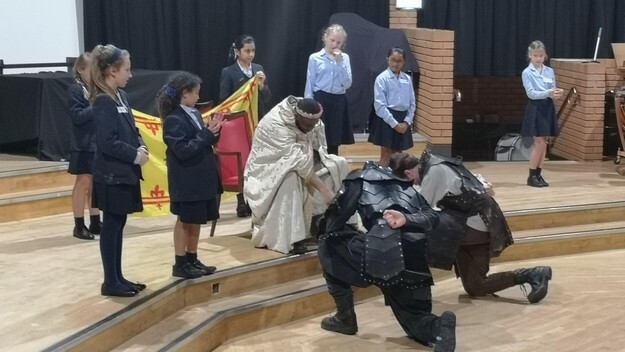 In addition to this modern take on a Tudor classic, the two performances saw girls from across the year groups be transformed into Shakespearean actors – kitted out with props of course – as they were invited up onto stage to take part in the story’s happenings. 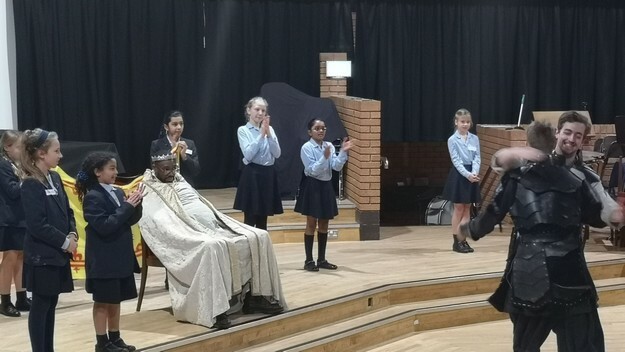 Throughout the performance, the actors were also keen to hear the girls’ thoughts on what they were watching, including their various interpretations of different scenes. 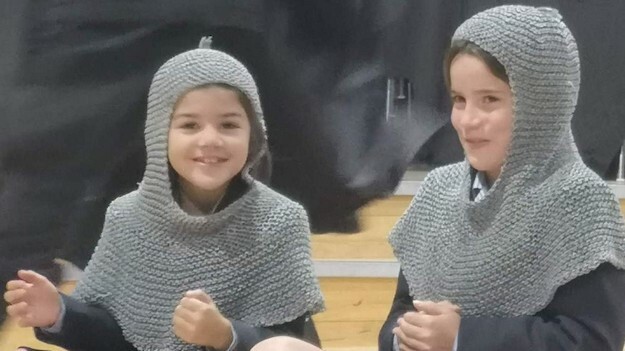 At one point, the girls were even invited to come up with all sorts of weird and wonderful ingredients to throw into the three witches’ creepy cauldron! 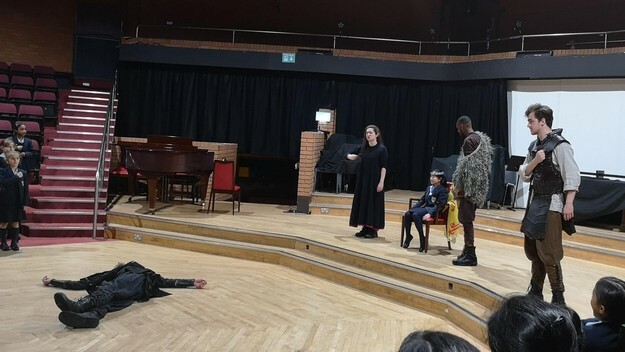 The final scene saw the entire Arts Centre transformed into the battle between Macbeth and McDuff for the crown, in which half our audience was marching in favour of Macbeth, and half in favour of McDuff. 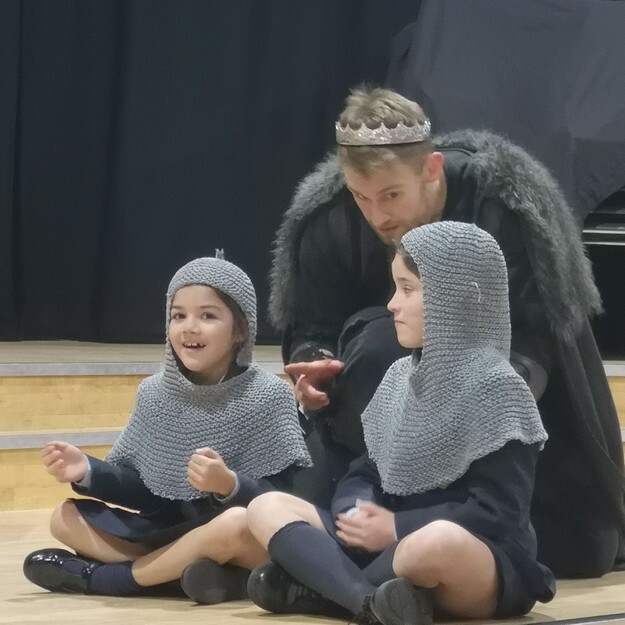 What’s more, the girls were very excited to hear the twist in this story come the end of this scene. 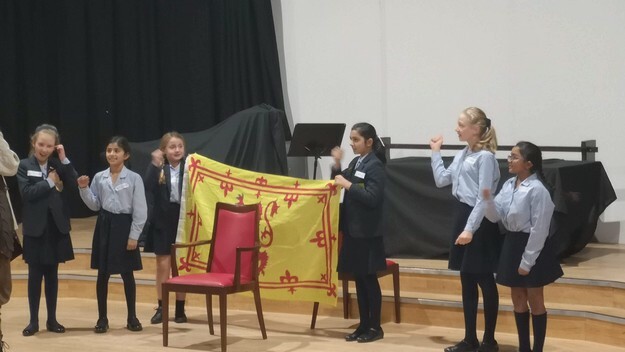 Despite Macbeth being told by the witches that “none of woman born shall harm Macbeth”, because McDuff had been “untimely ripped” from his mother’s tummy in what we now would call a C-section, he would in fact be able to ultimately defeat Macbeth, seeing our very own Malcolm of Scotland crowned King! 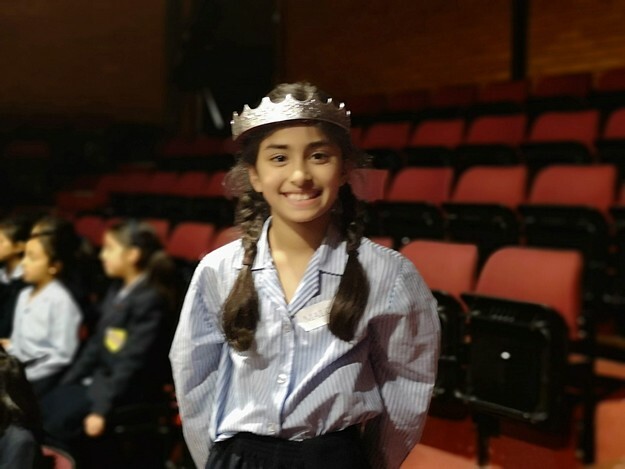 The day’s performances were utterly astonishing, and it has been wonderful to see our girls come away from such enjoyable shows with such a mature understanding of one of Shakespeare’s most famous works. 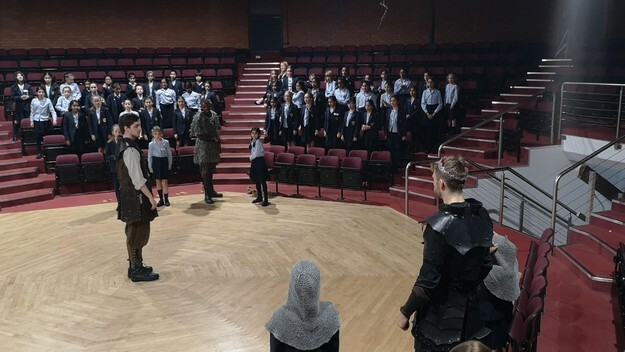 We are incredibly grateful to the Young Shakespeare Company for treating us to this spectacle and look forward to seeing what they have in store for us this time next year.